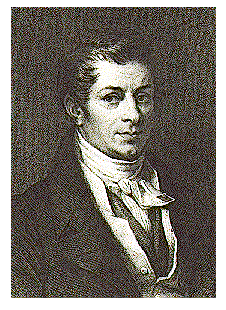 Jean Baptiste Say was a French economist who originally intended to pursue a business career. However, reading Smith’s Wealth of Nations inspired him to take up political economy. He taught at the Conservatoire des Arts et Meitiers, and the College de France. His most important works are Traite’ d’economique politique (1803) and Courts complet d’economie politique practique. Famous for ‘Say’s Law’ which states that supply creates its own demand. This concept was heavily criticized by Keynes. Nevertheless, there is truth in Say’s Law, which has also been called the Law of Market. Effectively it is an economic principle of classical economics stated by Say that “products are paid for with products” and “a glut can take place only when there are too many means of production applied to one kind of product and not enough to another”. (A Treatise on Political Economy, Book I Chapter XV; 1803 id/178–9) Say took the position that a rational businessman will never hoard money because of inflation and he will promptly spend any money he gets “for the value of money is also perishable.”(id/138–9). Keep in mind that the global economy was just starting. Say’s work was first published in 1803 and its first American edition was not until 1821. The 19th century was especially volatile with tremendous economic swings. There were clear conflicts with some of the positions of Say in particular that regarding hoarding of cash. This unfolds during a economic decline as people seek shelter from uncertainty. Say’s law had to be modified to incorporate the idea of a “boom and bust” cycle, which was becoming to be seen as natural and inevitable. Indeed, Paul Volcker has conceded as much as did former Fed Chairman Arthur Burns. It is worthwhile to remark that a product is no sooner created than it, from that instant, affords a market for other products to the full extent of its own value. When the producer has put the finishing hand to his product, he is most anxious to sell it immediately, lest its value should diminish in his hands. Nor is he less anxious to dispose of the money he may get for it; for the value of money is also perishable. But the only way of getting rid of money is in the purchase of some product or other. Thus the mere circumstance of creation of one product immediately opens a vent for other products. Say’s theory was certainly true to the extent that there must be a sufficient quantity of a product to create demand. Here are two coins, the rarest of all Roman coinage known as the Saturninus (280AD) of which only one exits in private hands, and the 1804 US silver dollar of which there are 15 known. 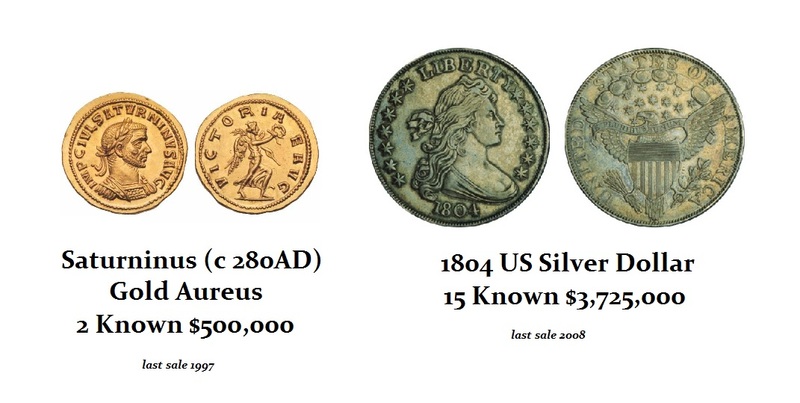 The Roman coin sold for $500,000 back in 1997 whereas the 1804 sold for $3.7 million in 2008. The Roman coin today would probably fetch $5 million or more, but there is no equilibrium. Demand expands with a market. If there is only one of something it is generally valueless. If there is a market in general, then the singleton will have value depending upon the size of the market. Consequently, Say is correct insofar as there must be a sufficient supply to stimulate demand.